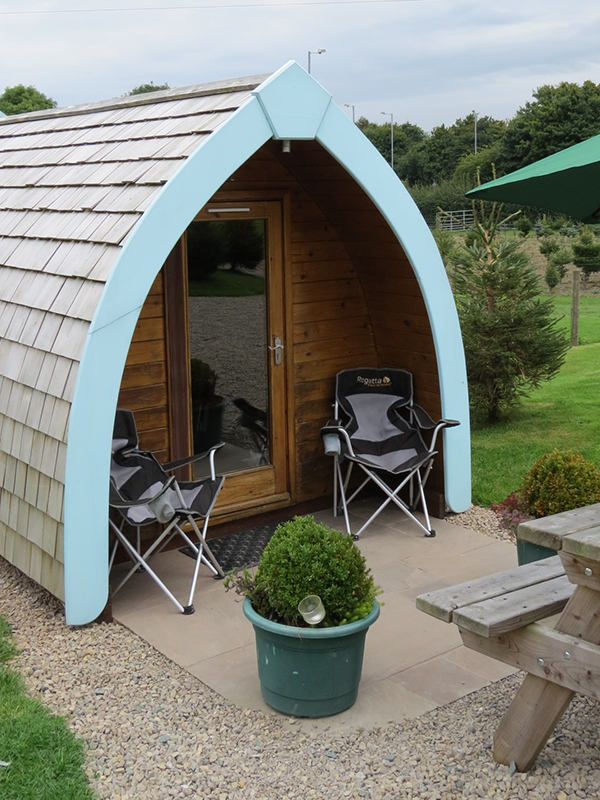 Pentreclawdd Farm Camping Pods, perfect for outdoor adventures. 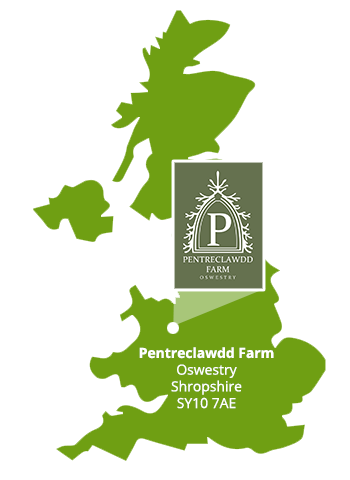 They are a fantastic way to enjoy the great outdoors in Shropshire without all the hassle of having to take a tent. 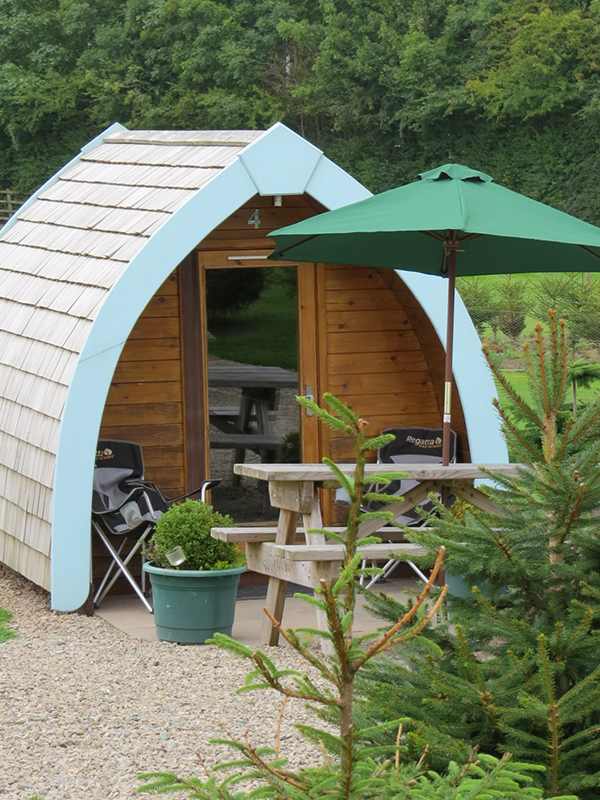 Our camping pods are perfect for walkers, mountain bikers, family breaks away or if you are just visiting the Oswestry area. 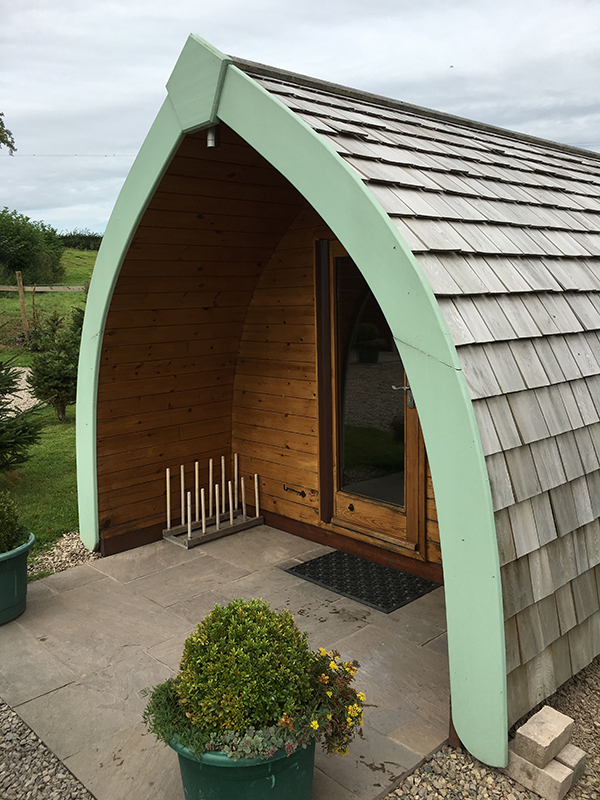 You don’t have to put up a tent – you can just move straight in and be warm and dry in one of our lockable and secure pods. 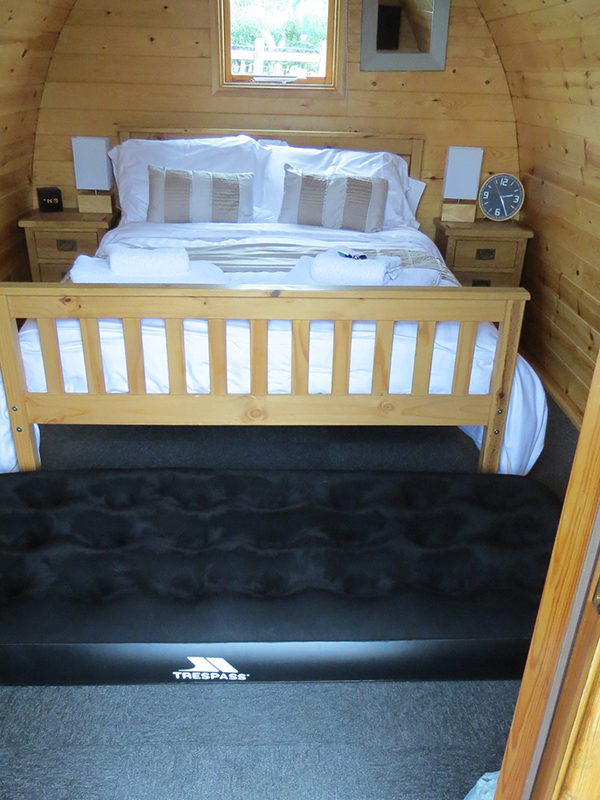 You only need to bring a sleeping bag (unless you are in the Luxury Pod, where bedding is provided) because we provide the blow-up beds. 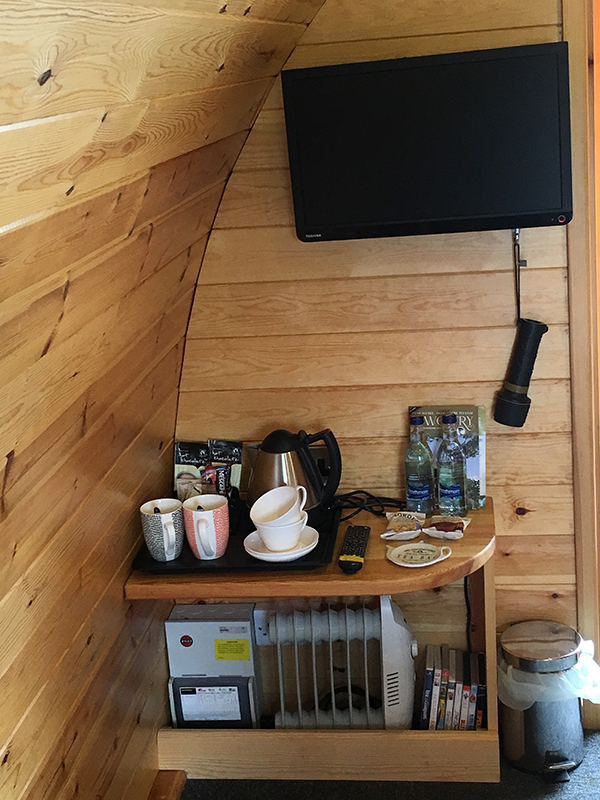 All our pods are available from March 1 – October 31. 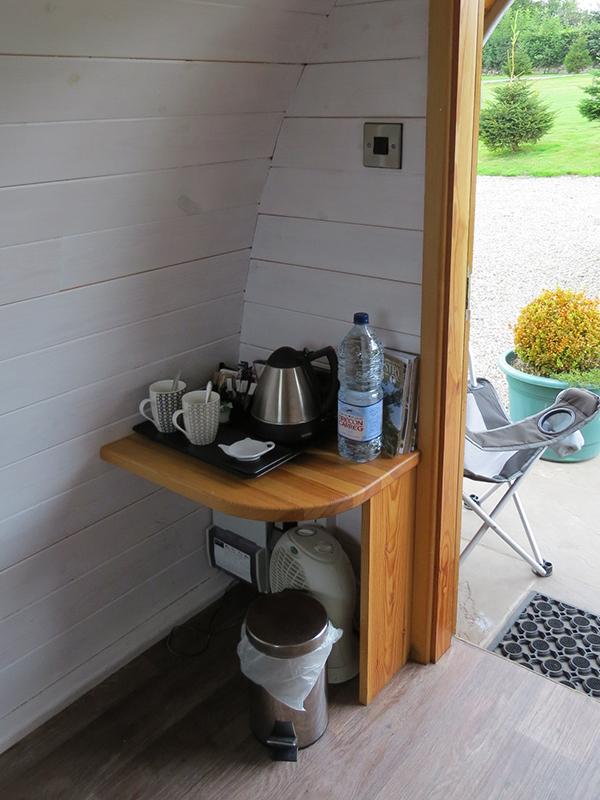 Use of our toilet and shower facilities. 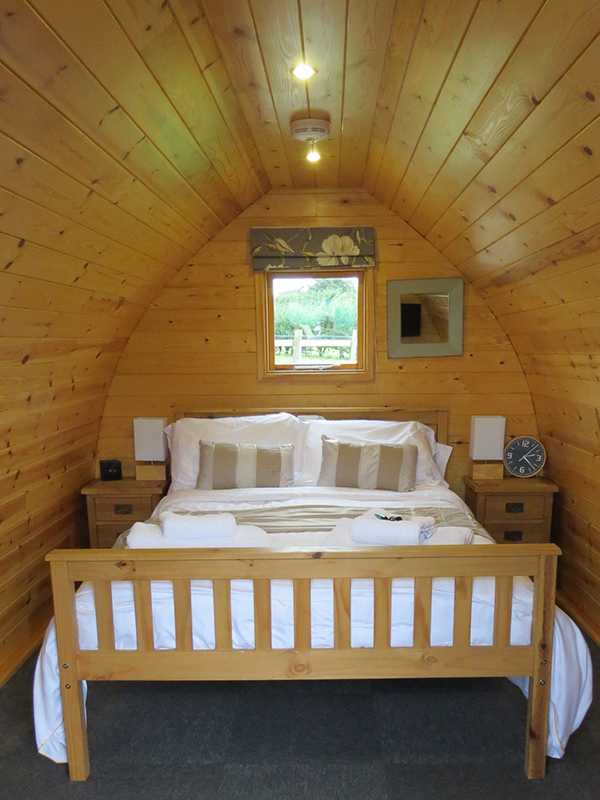 Please note that these Pods have a double bed complete with bedding. 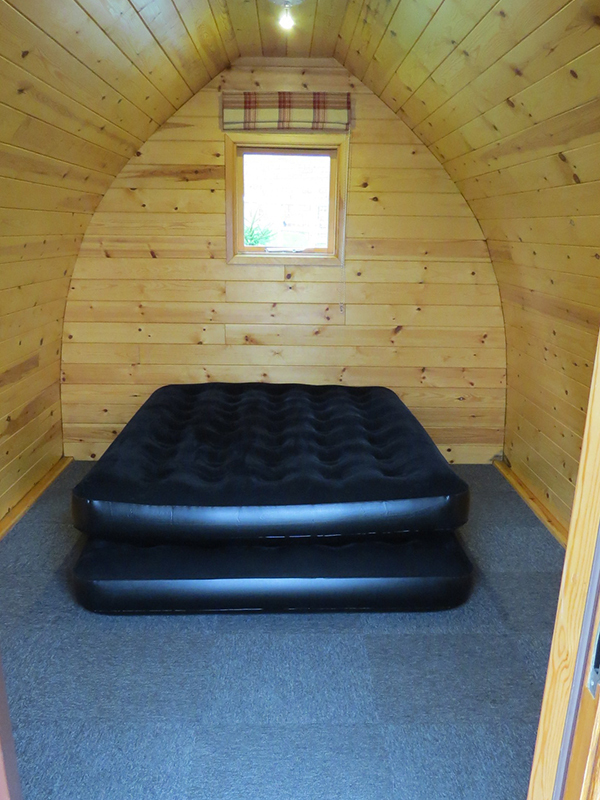 We can if required include a single airbed for children, you will need to bring a sleeping bag or bedding. Please let us know when booking. PLEASE NOTE NO DOGS ARE ALLOWED IN LUXURY PODS 6 & 7. 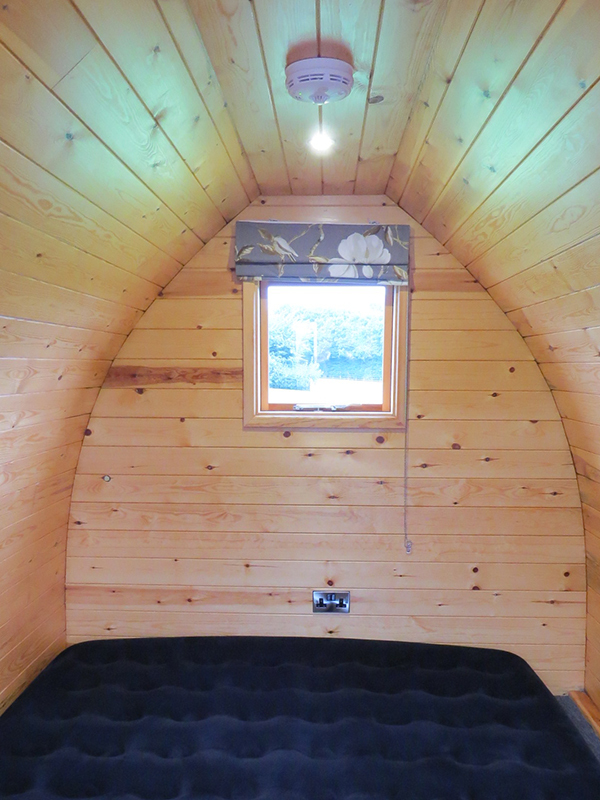 WE DO ALLOW DOGS IN LUXURY POD 3. You will need to provide your own bedding , towels and camping equipment. 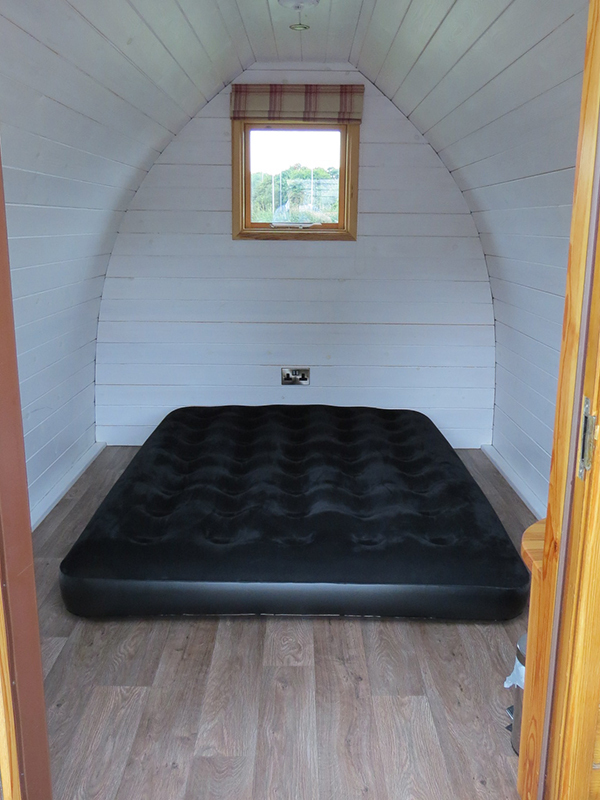 This Pod sleeps 4 persons comfortably! 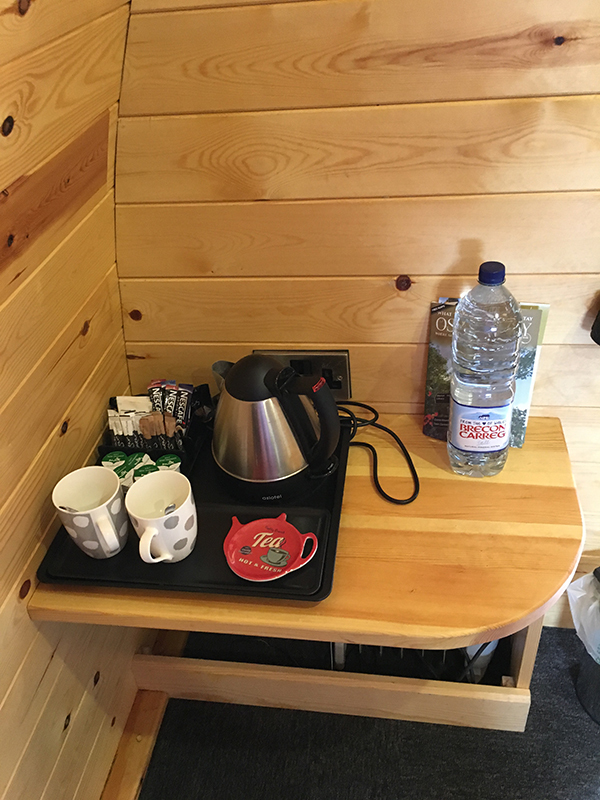 You will need to provide your own bedding , towels and camping equipment. 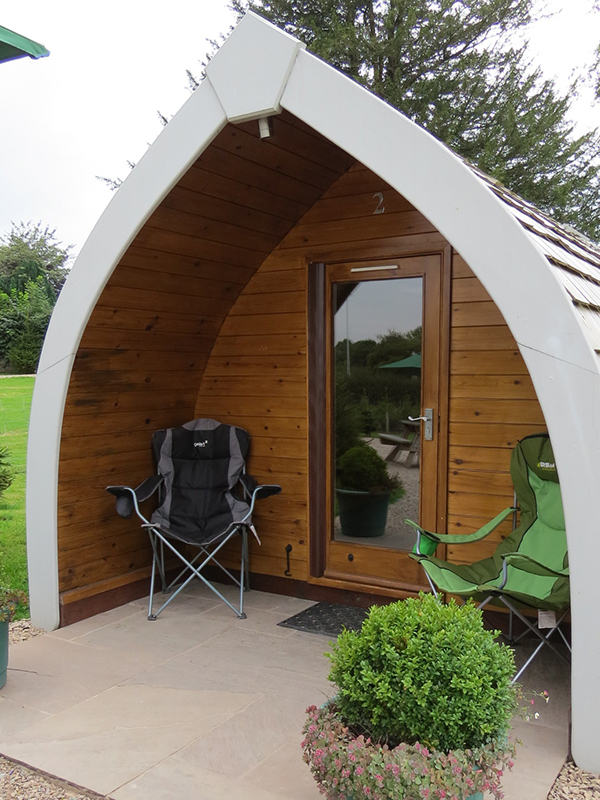 This Pod sleeps 2 persons comfortably!